My new Corona® Garden Hoe and I cleaned up the vegetable garden earlier today. It didn’t take too long. The plants had mostly dried up before being hit with a bit of frost a few days ago. I easily pulled up the peppers, tomatoes, squash, and corn plants and tossed them on the compost bin. Then I used the new hoe to knock down the weeds and smooth the raised beds. I was surprised at how hard packed the soil was in the raised beds, even though no one ever walks on them… much. 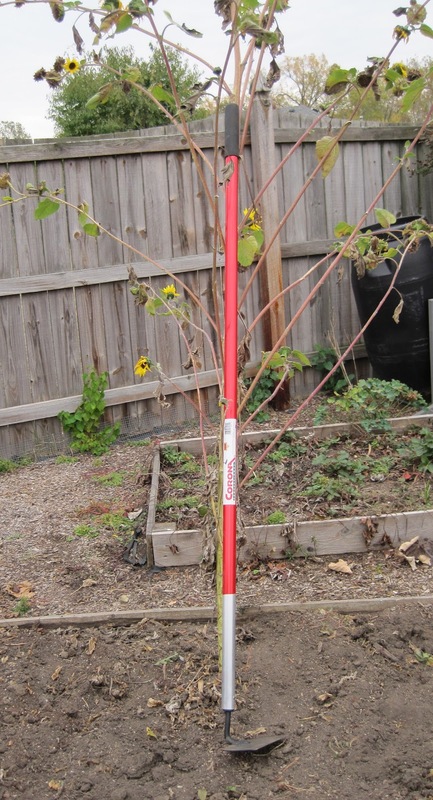 But the new garden hoe, with a generous six inch wide hoe head, made it easy to break through the crust and cut off those weeds. 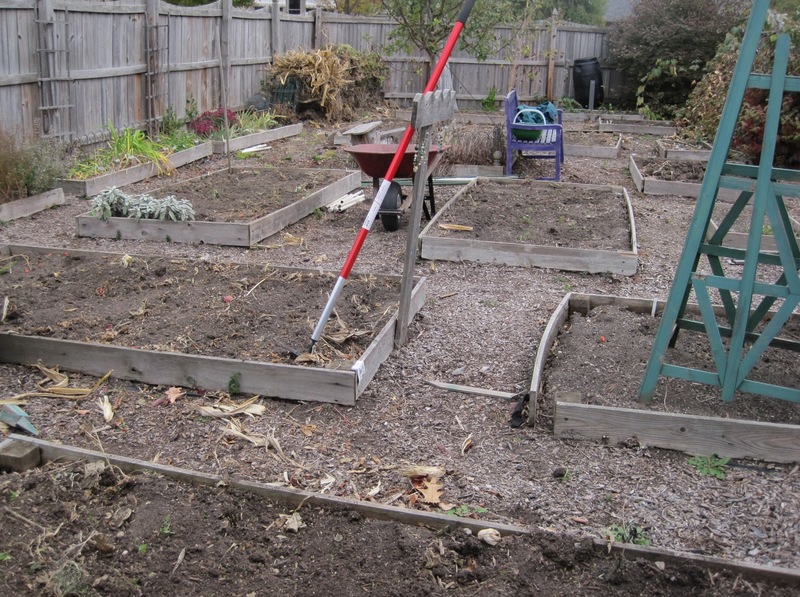 As I pulled out plants and hoed up the beds, I was reminded that I need to make a decision about redoing the raised beds. The cedar boards that I first put in place probably eight or nine years ago are now more rotted than solid and have pulled away from the 4” x 4” corner posts in several places. I need to either replace the boards with the same thing and hope to get another eight or so years out of them, replace them with a thicker pine board (maybe a 2” x 8” pine board instead of the 1” x 6” cedar boards I used), or replace them with some manufactured boards that are never supposed to rot. Or should I get some stones of some kind to edge the beds? At the same time, I also want to re-arrange the beds using the “keyhole” concept to maximize the space a bit more. The best time to do all of this is in the fall. But will there be time to do it this fall? Will I decide what to edge the beds with? Will I have the tools to do it? With my new Corona® Garden Hoe, I’ll have at least one of the tools I need, a good garden hoe. Thank you to Corona® for sending me this hoe to try out. 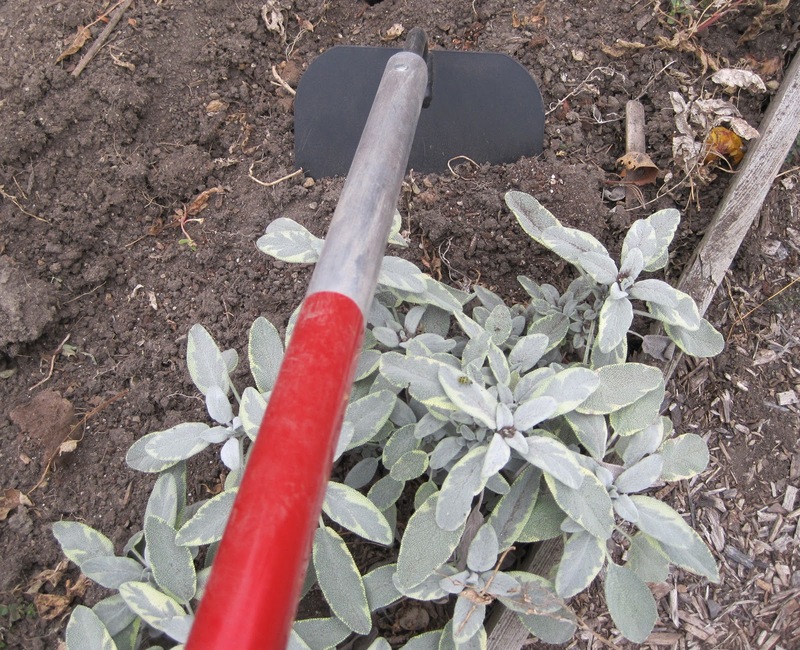 I have many hoes, but lacked a good basic "garden hoe". I like this one, it is very well made, and with that red handle, I’ll always be able to find it amongst the other hoes in my hoe collection. Getting a good hoe is better than picking the cheapest one in the place. Just saying. I think boards painted to match the tuteur would look great. Of course you'd have to repaint them periodically. I like the stone idea for the raised beds. Drystacking flagstone would be gorgeous. It would definitely not rot. I want to do that for our new garden area, still working on DH for that. I like your new hoe. I will look into one for our house and one for Dad. He likes the Cobrahead I got him last year....thanks to your contest and my love of the one I won. Cedar boards are terribly expensive now-I built raised beds 3 years ago and had to forego them because of the price. Pine will never last more than a couple years. I had access to cypress which was far cheaper than cedar and has SO FAR held up very well. I also use stone on my outer borders and LOVE the results. Nice set of raised bed gardens. I'm thinking of building another one this year. Where do you get your soil and what do you get? Manure? Compost mix? I love those keyhole raised beds. I do wish at times I had more sun and not just shade. I miss my vegetable garden beds. How do you sharpen your hoes?